What can Law of Attraction teach us about perfomance anxiety? Lots! 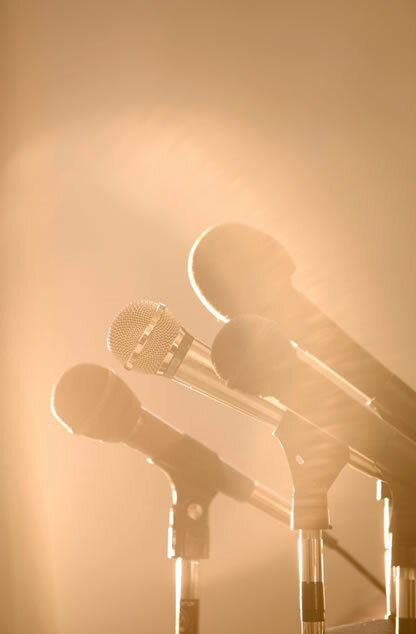 Performance anxiety, more often known as “stage fright” is a common condition for millions of people around the world. Having to stand up in front of a room full of people and give any kind of presentation is something that most people prefer to avoid at all costs. And then there’s me. I joined Toastmasters in February 2013 so that I could practise my public speaking skills and become an awesome speaker. Because I’m going to be a motivational speaker… if I can just get myself past the stage fright. If you’re fortunate enough to have never experienced performance anxiety then, let me tell you, it’s an awful sensation… the adrenaline kicks in and you start shaking. Your voice trembles. Your pulse is racing and you start hyperventilating. You’re sweating. Your mind blanks as you’re standing up there in front of that audience, and you forget everything you wanted to say. You feel like you’re going to throw up or pass out or both. 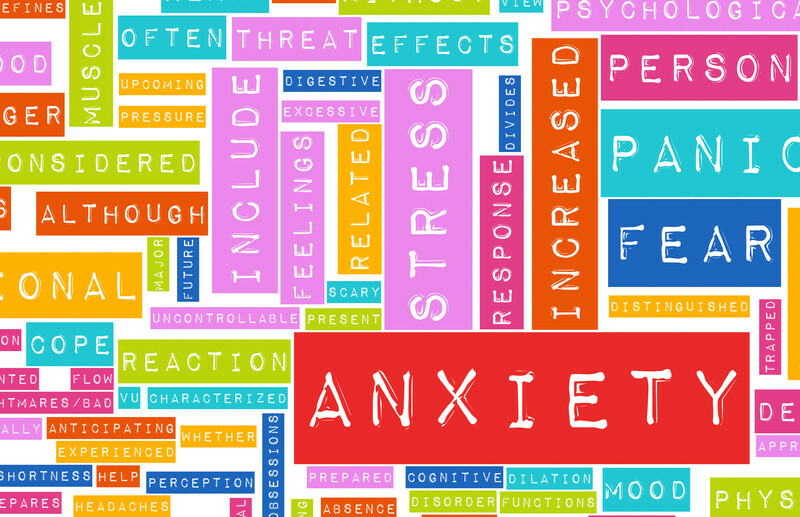 And, for some people, the anxiety can even escalate into a full-fledged panic attack. What do you do when you really want to do something well but you just can’t seem to pull it off? And it’s frustrating as all hell when you want so badly to be able to do something and every time you try it, the anxiety kicks in. So what do you do when you really want to do something well but you just can’t seem to pull it off? As a good Law of Attraction student, you turn to the Universe and your own inner wisdom, of course. I’m a naturally analytical type of person, so the first I did was to try and figure out what the trigger was for the performance anxiety. Because it doesn’t happen in every situation where I’m in front of people, which is kind of odd. For example I only seem to have this problem with prepared speeches that are being evaluated as part of my progress towards the Toastmasters Competent Communicator designation; my anxiety levels are considerably less when doing unprepared, improvised short speeches (or, “table topics”, as they are called). And, oddly enough, I don’t have any anxiety when speaking as the Toastmaster (the one who runs the meeting, introducing the other speakers and providing opening and closing thoughts), or when providing an end-of-meeting report after performing a role such as Timer or Grammarian. OK then… I don’t seem to show signs of performance anxiety unless I’m performing a prepared speech. Interesting. Which makes me think that perhaps the anxiety is related to perfectionism; I put more pressure on myself to perform well when I’ve had time to prepare, practice and memorize my speech. I don’t expect much when I do a Table Topic because there is, literally, no prep time for those. I don’t put any pressure on myself when doing a role because I’m new to Toastmasters and have never done any of those roles before, so I’m expecting myself to make mistakes. It’s only for the prepared speeches that I expect myself to do well. Also interesting. I wonder if perhaps I’m trying too hard. One of the things Law of Attraction teaches us is that wanting something too much usually just serves to push that something further out of reach. Because, in focusing on how much we want the thing, we are actually focused on the fact that we don’t have it yet. Critical, critical point: What we focus on is what we manifest into our lives; likewise, what we resist, persists. Law of Attraction teaches us that what we focus on is what we manifest into our lives; likewise, what we resist, persists. So, in focusing on how much I really want to be a good speaker, and in raging against the frustration I feel when I can’t speak as well as I want to, I am actually pushing the achievement of being a good speaker further and further away from me. Counter-intuitive though it may seem, if I really want to be a good speaker, I need to stop obsessing about it. What would be more likely to help me achieve my goal is to focus, not on my performance anxiety and on what I think I’m doing wrong, but rather, on what I think the right things are. I need to focus on what I think it would feel like to be a good speaker, and I need to come up with methods to help me feel that now, before I become what I believe a “good speaker” is. Because focusing on the feeling of being a good speaker is what will manifest that experience into my life! So, the next thing I need is a plan. Because I’m a plan kind of girl and I like to know where I’m going. Get help. I sent an email to our club president, who has far more experience with Toastmasters and public speaking than I have, and asked him for any suggestions or advice he might have as to how to deal with the performance anxiety. He wrote back with some good practical advice about eye contact and movement, and about volunteering to do some impromptu speeches (these are still speeches in front of the group, but they aren’t evaluated as part of the steps towards your designation). I think that would be great practice, with less pressure, so I’m going to give it a try. Reduce the pressure. I think I’m trying too hard. I wanted to achieve my Competent Communicator designation (that requires me to do ten prepared and evaluated speeches) by the end of summer. I haven’t decided to change that deadline for myself yet, but I have decided that putting too much pressure on myself to get these speeches done is not helping me to improve my skills, so I need a different approach. Sometimes it’s better to back off and let yourself breathe a little, so I’ve rescheduled my next speech to mid-May, instead of next week. This gives me several weeks to implement my plan. Performance anxiety in public speaking is a common affliction. Practice more. In addition to volunteering for an impromptu speech, as per our club president’s suggestion, I’ve also signed up to try the Toastmaster role again, and will be volunteering to try the Table Topics, as well. My thinking is that this will give me more practical experience in front of an audience, without the pressure of the evaluations. Use a mantra. In my last post I talked about fear and techniques you can use to release it and start taking action towards your goals. One of the quotes I posted was from Henry James, and it said: “Excellence does not require perfection.” This particular quote has been on my mind since then, and I’ve turned it into a mantra for myself: “I do not need to be perfect in order to be excellent.” For some reason that mantra just feels amazing to me, which means it’s a really good one for me to use, and I’ll be repeating it to myself regularly over the next few weeks. I have a really good feeling that these combined mental and practical strategies are going to be really effective in helping me overcome my performance anxiety and improve my speaking skills. Time will tell, and I’ll let you know how it all turns out. Sounds like you’re on a good track to becoming a fantastic speaker. My guess is you’re already a lot better at it than you think. The key for my daughter, who was terrified of public speaking but needed to do it for her job, is content. When you are talking about something that genuinely interests you, something you are passionate about, the words flow. If you aren’t passionate about the topic, for example explaining research from a marketing campaign to a client company (her job), the key is to be in command of your facts. She also always uses props. Props rule! My thought for you would be to plan a speech about a topic that’s emotionally important to you, something you really want the audience to understand. Then make note cards of the high points, and practice with them. When the actual speech time comes, let it roll out of you, not as memorized words but as an empassioned message. As you speak, listen for that instant when you hold the audience in your palm. That’s the moment you want to build on. Any speech is an interaction, and you can feel and rise on the audience’s emotions. Apologies for the soapbox! I love public speaking! You will too! Thanks for the tips, Carole! My second speech was about a subject I wasn’t all that interested in, and it had to be constructed in a particular format, which I found kind of boring. So you’re right, that probably didn’t help. My third speech, however, was about affirmations, which I am interested in. It went better than the second speech, but I still forgot everything I had so carefully memorized and had to read off my notes at points.